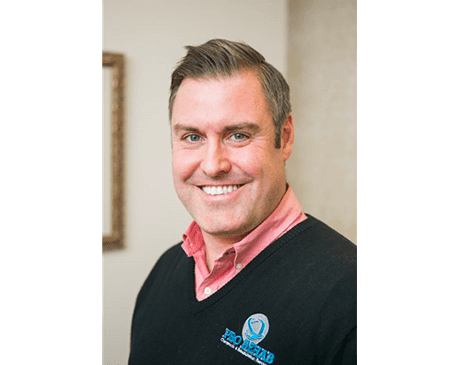 Pro Rehab Chiropractic and Rehabilitation Providers James Sheehan, D.C.
As a native of Delaware, James Sheehan, DC, is happy to share his expertise as a leading chiropractor in his home state. For nearly two decades, Dr. Sheehan has helped relieve pain for patients in Delaware and Pennsylvania, and his practice, Pro Rehab Chiropractic and Rehabilitation, currently has ten convenient locations across northern Delaware. He has been an integral part of introducing the latest techniques and the most advanced technology in the world to his offices in Delaware so he can effectively treat neck pain and back pain, as well as auto and work-related accidents. Dr. Sheehan began his career at the University in Delaware in Newark, Delaware, before going on to earn his Doctor of Chiropractic Medicine degree from Life University in Marietta, Georgia — the world’s largest chiropractic college. After graduating, he returned to Delaware as a practicing chiropractor to help the local community get natural, long-term pain relief from a variety of musculoskeletal conditions. In addition to treating adults locally, Dr. Sheehan’s expertise has led world-renowned athletes to seek his services, including Andy Roddick, Billy Jean King, Venus Williams, and Delaware celebrity commentator, Derrick Gunn. Dr. Sheehan was also the staff chiropractor for the TV show “Extreme Makeover: Home Edition,” where he was able to help TV star Ty Pennington get relief from back pain. Dr. Sheehan is a member of the National Board of Chiropractic Examiners and was voted Delaware’s Best Chiropractor by the News Journal multiple times. He lives in Wilmington, Delaware, with his wife Gerry, son Dean, and daughter Keira.